Thanksgiving has come and gone for the year and now we are left with an abundance of food. Not only that, but Christmas is only a month away, so there is another party to plan. With this season of festivities, we are left with more food than we can handle. So what can we do to either make less waste or properly use our leftovers? Below we will talk about some tips and tricks before in order to reduce food waste. There are two steps to take before you even begin your meals that reduce food waste. While this isn’t much help with your Thanksgiving leftovers, it should help with the upcoming Christmas and future parties. Plan your meal. Planning out your courses, how much you need to buy, and how much you need to make will help. By planning this all out, you won’t be making extra additions spur of the moment. Knowing how many people are showing up will help with planning as well. Don’t make too much. As part of planning, you may be tempted to make a double batch of cookies or triple the potatoes you need. Don’t fall into the temptation. By controlling the quantity of what you make, there will be fewer leftovers and wasted food. 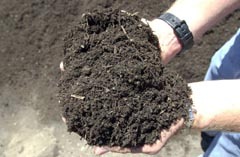 If you have a garden or know of someone who does, now may be the time to start composting. There are options for both indoors and outdoors composting, so investigate if something sounds interesting to your situation. Another way to deal with anything left over from the big dinner party is share the love. Have your family and guests take home their favorite selections from the evening in doggie bags and Tupperware. Who doesn’t love a second day of the rare favorites? This is a great way to share the leftovers with others and leave you with less to figure out what to do. On the other hand, if you stock up on Tupperware and need to get rid of it, offer it up to your guests at this time to help get rid of more of your stuff. In the end, some food will be left for you to deal with. So what now? It’s time to work your brain and get inspired. Don’t eat the same cold turkey for a week after Thanksgiving. Instead, make potpie with the remains. Or for other days when you have a giant meatloaf left, make it into a sandwich. There are many ideas available online that can help you get creative and reduce your food waste. Dumpster Rental wishes you all a happy holiday season.